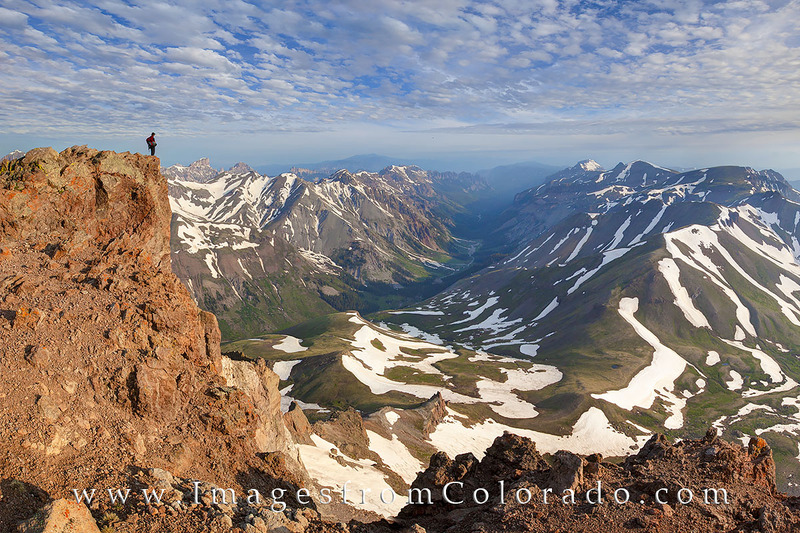 At 14,309', Uncompahgre Peak is one of Colorado's 14ers surrounded by breathtaking views of the San Juans in all directions. Seen here after an early morning trek a lone hiker stands on the edge of the rocky cliff to take in the vast expanse. This hike starts after a bumpy 4WD ride up from Lake City. The trail distance covers about 8 miles round trip and gains ~ 3,000 vertical feet. Photo © copyright by Rob Greebon.